Objective: To outline the Gravity Forms "Visibility" settings for forms and it impacts on Gravity Flow workflows. 1. Create a new Gravity Form. 2. Add a field or fields of your choice. 3. Select a “Visibility” settings are under "Advanced" -> "Visibility" for the particular field. Visible: This is selected by default. This allows the field to be visible by all. Hidden : When this is enabled, the field will not be visible to anyone. 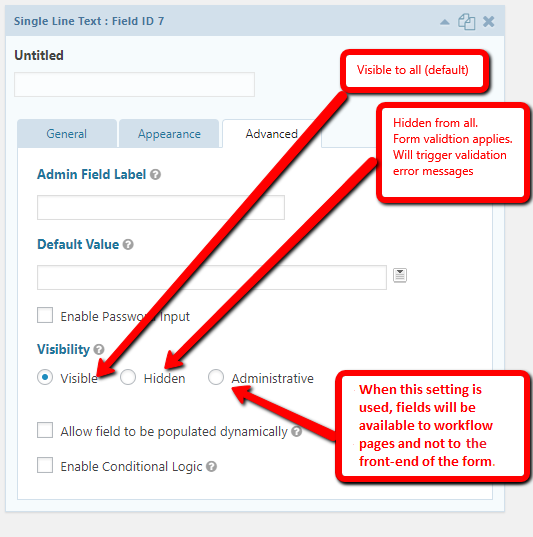 Gravity Forms validation logic still applies even though the field is invisible. Note: if a hidden field is made mandatory, an error message 'There was a problem with your submission. Errors have been highlighted below' will show up during form submission and no field will be highlighted. Administrative : Items with this setting will be Only visible on the Gravity Forms entry detail page. 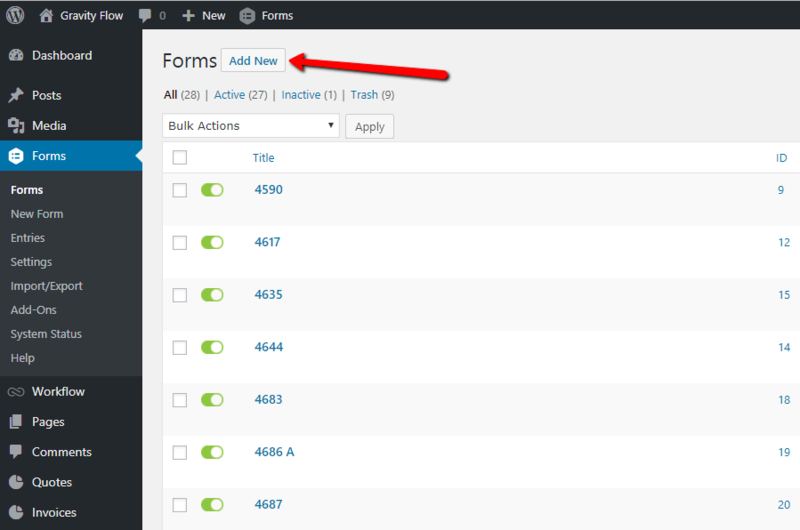 When this setting is used, fields will be available to workflow pages and not to front-end of the form. For Gravity Flow you can use these fields like “visible” fields in workflow steps - just select them in the display fields and editable fields settings. Note: When using Gravity Flow workflows, fields that are set to "Administrative" can be used in cases where feedback may be required from Gravity Flow assignees. Summary: "Visibility" settings for a "Gravity Forms" field have been explained above.